TENS, or transcutaneous electrical nerve stimulation, is a drug-free alternative for managing pain. Doctors routinely recommend TENS therapy because it is a low-risk, noninvasive type of treatment. The unit applies electrical muscle stimulation transcutaneously across a painful area. Here’s what you should know. TENS unit devices, or TENS machines, look like a small cell phone. They have one or two sets of wire leads attached. The wire leads have a set of self-adhering pads attached to them. This device generates a gentle electrical current that travels through the lead wires to the pads on the body. The therapy works to decrease your pain levels by electrically stimulating the local sensory fibers. This can override the brain’s ability to process the pain signals from that area. It doesn’t make your muscles contract to do so. Think of it like this. When you rub your knee when you hit it against something it helps reduce your pain. The rubbing sensation somewhat overrides the pain sensation and provides mild pain relief. Electrical stimulation was actually first used in ancient Rome to relieve pain by using electrical fish from the sea. Later, a variety of other devices were used to treat headaches and other pain conditions. A TENS device is a safe option for many. However, if you have a pacemaker or are pregnant, you should avoid this type of therapy. 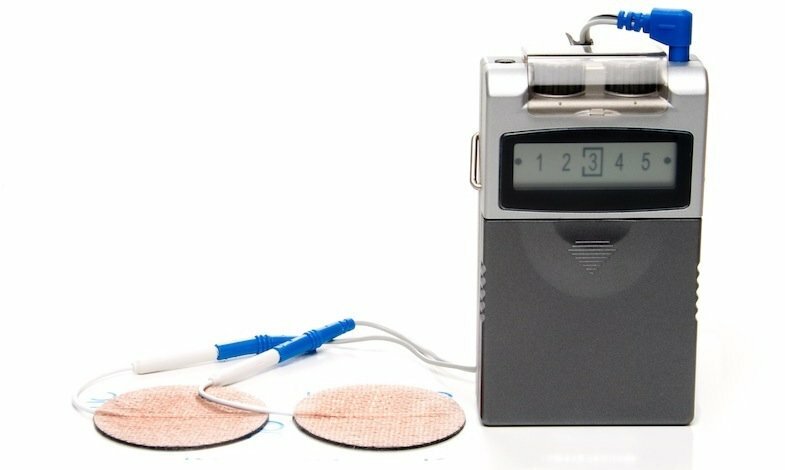 How Does TENS Unit Therapy Work? Typically, a TENS device is a battery operated device. It introduces electrical stimulation at a high frequency and with an intensity that will not trigger motor contractions. Your physician can adjust the pulse, frequency, and intensity for specific conditions. Unfortunately, researchers don’t completely understand how or why they work. As far as they can tell, TENS therapy for pain is effective because the nerve stimulation essentially keeps the nerves excited and busy. This prevents them from processing other sensations, in this case, pain. TENS therapy also encourages the production of endorphins, known to be the body’s natural painkillers. Although primarily used for pain control, this type of electrical stimulation has also been demonstrated to improve circulation locally. It can also either reduce or completely eliminate muscle spasms. You’ll start treatment by placing the TENS electrodes on your skin where you’re experiencing pain. These electrodes connect to a small unit that generates electrical stimulation. The unit may produce a tingling sensation where the electrodes are placed on the skin. However, generally there are very few other side effects from therapy. It has also been shown to potentially be useful for people suffering from diabetic neuropathy. A number of randomized controlled trials have studied TENS therapy’s effectiveness. There is evidence that the unit is used successfully in individuals who suffer musculoskeletal pain post-operatively and in individuals who have osteoarthritis. In a study combining the use of this device with intra-articular hyaluronic acid injections in individuals who suffer from osteoarthritis, researchers found statistically significant pain relief in the first months. Even better, this relief continued through the six month follow-up. The TENS unit has also been effective in pain control over the use of placebos in individuals who suffer from osteoarthritis. In one meta-analysis researchers found evidence that there are both peripheral and central nervous system mechanisms that impact the pain-relieving effect of this type of therapy. Results found that the intensity of stimulation is a critical factor in the success rate of pain treatment. This therapy was particularly successful for patients with musculoskeletal pain, for both acute and post-operative conditions. In another study, researchers studied TENS therapy for pain relief during labor. They assessed 17 different studies, with a combined total of 1,466 women. The results were not as positive as those using individuals with other types of chronic or acute pain. Pain scores were similar in women who use the unit and in those who did not. There was some evidence that women using the device had less severe pain, but the results were not consistent across the studies. The device also did not seem to have an effect on the length of labor, interventions used, or the ultimate well-being of mother and baby. Other uses for transcutaneous electrical stimulation include increasing the range of motion for individuals who suffer from adhesive capsulitis (frozen shoulder). Research demonstrated that TENS therapy increased the range of motion more than heat, manipulation, and exercise. Significant advancements in technology have also led to the introduction of an innovative device that offers an external cranial neuro-stimulation technique for treatment and prevention of migraines. In studies where participants used this device, medication use fell an impressive 37% with no significant side effects or contraindications from the device. To achieve the best results with TENS therapy, it is important to remember this technology merely activates your body’s own pain-fighting mechanisms. Place the TENS electrodes directly over or near the painful area. The electrodes will deliver a pain- blocking current to the nerves in this area. Also, it is good to vary the placement of the electrodes each treatment to avoid skin irritation. Studies show it takes an average of 30 minutes for TENS treatment to begin to relieve pain. Some patients find hours of pain relief from short 30-to-60 minute sessions. Others use their devices for several hours a day or all day. This all depends on the pain generated by daily activities. During treatment, these impulses will feel like tingling sensations. They may also be accompanied by warmth in the area. Unlike over-the-counter or prescription medications, TENS therapy is virtually risk-free from injury, side effects, or addiction. The low-volt electrical current delivered by the electrodes only penetrates the skin to the level of the nerve fibers. This poses little danger to most individuals. However, those with cardiac conditions or pacemakers, and pregnant women, should consult their doctors before using this therapy. Use caution when you drive or operate heavy machinery. Do not use a TENS device while sleeping. This is simply because electrodes may come off or be pressed into the flesh, causing skin irritation, during sleep. Most importantly, always use TENS therapy according to your physician’s directions. Any complications that might arise from TENS therapy for pain or another condition would result from electrical current that is too strong, which could burn your skin or deliver a dangerous electrical shock. TENS machines can’t cure whatever conditions are causing your pain. They can only be used a treatment to relieve pain. If it works for you, it can drastically improve your quality of life and make you feel more comfortable. For this reason your physician will incorporate it into a comprehensive pain management plan. You’ll use TENS therapy alongside medications, lifestyle changes, physical therapy, surgery, and other methods. Theoretically the unit blocks the perception of pain or increases the secretion of endorphins. TENS therapy has also demonstrated success in reducing or eliminating muscle spasms. This therapy has significantly low side effects and very few contraindications for use. This makes it a good pain management option for many people. If you’re considering TENS therapy, it’s time to talk to a medical professional. You can find a pain doctor in your area by clicking the button below or looking for one in your area by using the tips here: https://paindoctor.com/pain-management-doctors/. 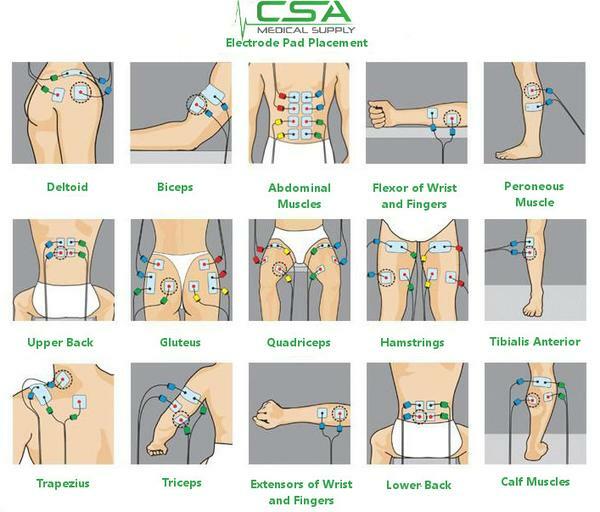 The post TENS Unit Therapy appeared first on Pain Doctor.